Autism has probably touched your life in one way or another. With rates of diagnosis climbing (the Centers for Disease Control and Prevention reports that 1 in 68 children are being identified as having the disorder) we know that the unique beauties and challenges of the spectrum have far-reaching impact. Prior to joining the team at Donate a Car Canada I had opportunity to work in different respite and rehabilitation roles. Working and playing alongside children and adults impacted ASD (Autism Spectrum Disorder) was a joyful challenge and delight. The mysterious beauty of scrambling to keep up with quick minds and unique trains of thought inspired me to look at the world in entirely new ways. The frustrations of our limited language, and the need to express everything from a fast food order to a complex emotion became riddles of unimaginable proportion! I was witness to the power of music to soothe and restore equilibrium. The stark beauty of the interplay light and color and movement and how those things can fully engage – or distress – took on new meaning. The simple (oh, so not simple!) act of communicating a want, a need, a tenderness? Gifts to be cherished! Autism Speaks is at the forefront of research and support. Autism Speaks, along with Autism Speaks Canada, has grown into North America’s largest autism science and advocacy organization. They are dedicated to funding research into the causes, prevention, treatments, and cure. They are increasing awareness of ASD, and advocating for the needs of individuals and families impacted by the spectrum. What are the causes of autism? Who is impacted by it? What is being done in the fields of research and support? Check out this helpful link at Austism Speaks for helpful answers to tough questions! Enrich your life by expanding your understanding of ASD. Consider offering your kind support to Autism Speaks Canada by donating a vehicle to raise a charitable donation for them. 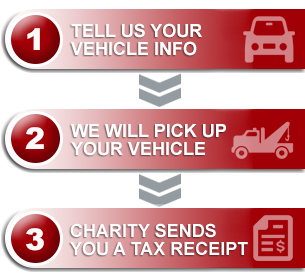 You can donate on-line today at www.donatecar.ca or by calling us at 1-877-250-4904.